ProsYou get more nuts for the money without the fancy packaging! I will order again and again. Try with caramel popcorn. A wonderful treat. Sent as a gift; the recipient said the order arrived in good condition and the cashews were delicious. great snack and handy to take on road trips. Prostake on trips good to snack on as traveling. Always fresh and service is great. ConsThey don't last long enough. A delicious snack...we like the large size so that we always have some on hand. ConsI'm trying to figure out a way to get a large refill of the giant whole cashews. Nuts were more than half broken pieces and halfs and had an off taste. I contacted Customer Service and they were most helpful arranging a return and replacement with the nuts sold as Large in the one pound bags which were great when we ordered them by pound bags. Should be clearer that these are different nuts of lesser quality than those sold in the pound bags to avoid disappointment. ProsGood Customer Service when I reached out to them about the issues. Great buying experience . Fast shipping but the cashews were broken when I for them. There were some whole ones but a lot of crumbs. Very tasty . These are THE BEST!!!! I buy them by the 4 pound bag to have on hand for my team at work (6 people). People grumble when I don't bring them to meetings because they're just the thing for that mid-morning or afternoon snack for those of us who aren't into sweets. Product delivered to a friend, believe was satisfied,previouslypurchased from Whitneys,but got too expensive,and selection not to my l taste,would not split cases. The cashews were very fresh. Compared to cashews I've ordered in the past, however, these were very oily. I don't know if the type of oil was different or there was just too much of it. 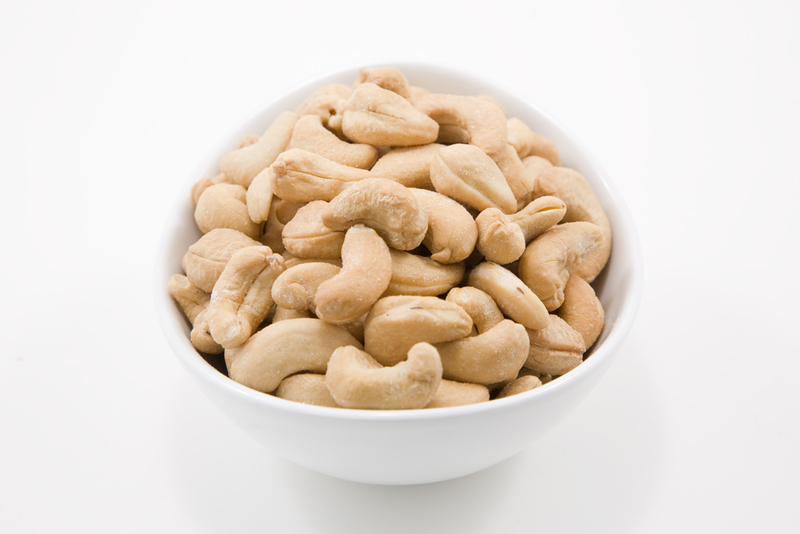 These roasted unsalted cashews are wonderful. Website is very easy to use and they were delivered within days. Will definitely be ordering these again. Great tasting cashews! I gave this as a gift and he loved them!